After months of countless rumours and discussion comes the eagerly anticipated rebirth of the series’ most iconic titles for current generation consoles. 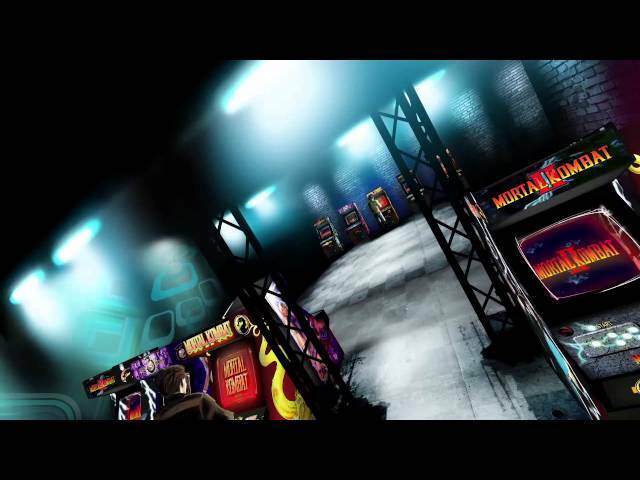 Mortal Kombat Arcade Kollection, which sees the culmination of the original Mortal Kombat, Mortal Kombat II and Ultimate Mortal Kombat 3, is now available from the PlayStation Store for $9.99 or from the Xbox LIVE Arcade for 800 Microsoft Points. Warner Bros. Interactive Entertainment today announces the Mortal Kombat Arcade Kollection is now available for download on PSN in North America. In honor of this new collection, which offers players a chance to go back to the beginning and check out the first three games in the legendary franchise, the team is releasing an all-new trailer featuring a glimpse into the downloadable title’s classic Mortal Kombat gameplay. The Mortal Kombat Arcade Kollection will be available tomorrow on Xbox Live and on PSN globally. The PC version will be coming out next month. For $9.99 on PSN, and XBLA and PC for 800 Microsoft Points, the Mortal Kombat Arcade Kollection offers fans the first three games in the series — the original Mortal Kombat, Mortal Kombat II, and Ultimate Mortal Kombat 3 — and online play, leader boards, achievements and trophies, as well as the chance to play through the games in their original arcade state. Developed by Other Ocean in conjunction with NetherRealm Studios, this collection marks the first time all three games have been brought together in one package. Are you ready for some klassic kombat? Follow us on Twitter or join our Facebook page for your chance to win a copy of the game for your nominated system!